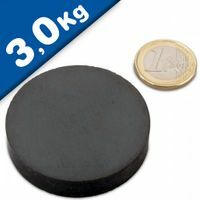 Disc magnets have a diameter greater than thickness, and are available in sizes approx 8mm diameter up to 30mm. 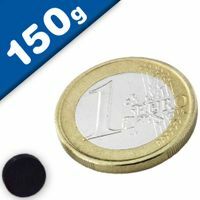 Pull strengths begin at around 103g and can reach up to 1.1kg. 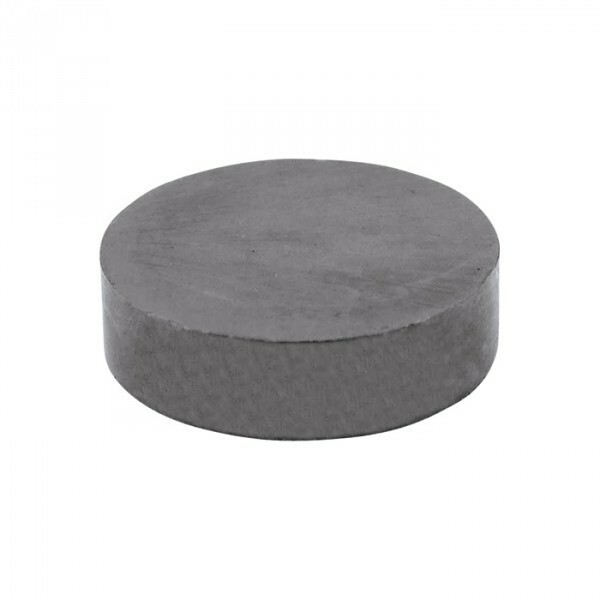 For Ferrite magnets in a cylindrical shape, see our Rods section. 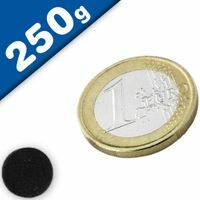 These round disc magnets can be easily affixed into drilled holes. 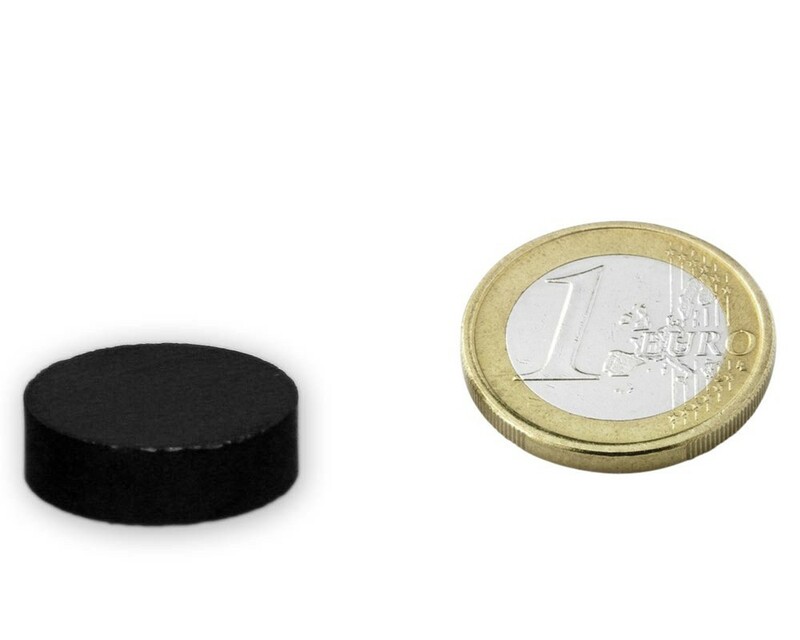 The dimensions for disc magnets are measured "Diameter x Height". 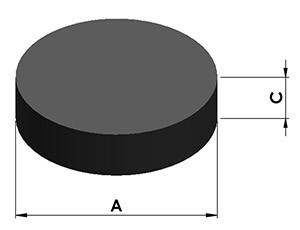 The discs are magnetised from top-to-bottom through the thickness. 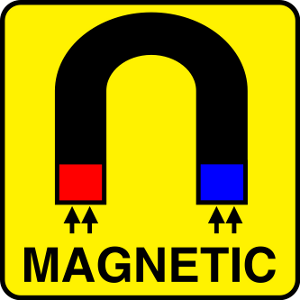 Ferrite magnets can be used in a wide range of applications due to their high coercivity and low cost. 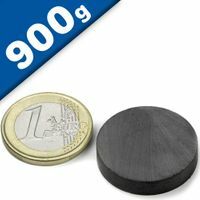 They also have good machining properties which allows them to be cut into different shapes and sizes - they are cut with diamond tooling; standard drills and wire spark erosion techniques do not work. 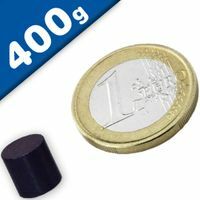 Ferrite has an excellent resistance to demagnetisation/corrosion, however care must be taken when handling the product due to its brittleness. 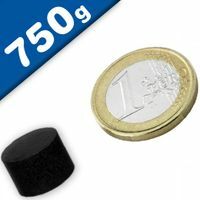 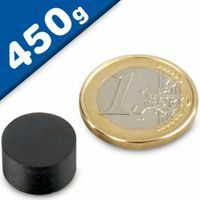 Ferrite magnets can be used up to +250 degrees C making it ideal for use in electrical machines. 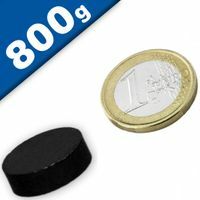 At sub-zero temperatures e.g. 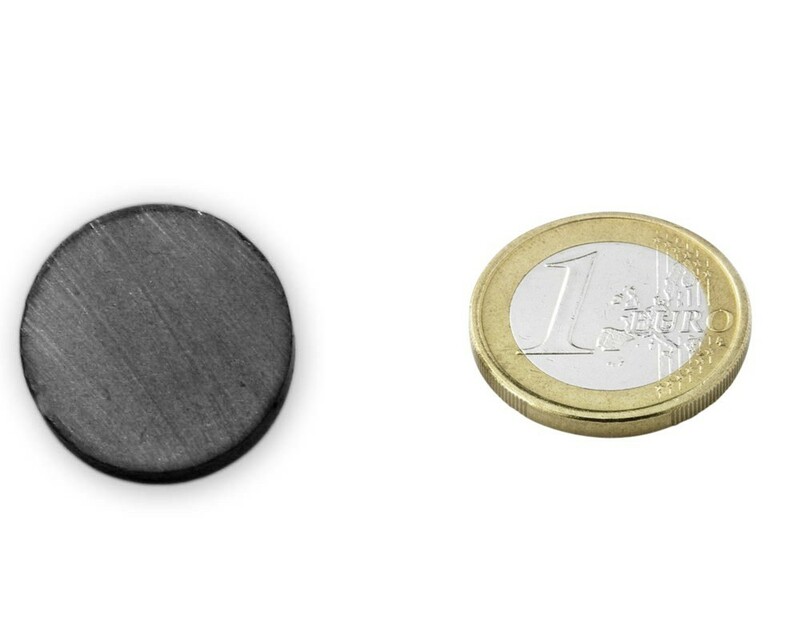 less than -10 to -20 deg C, ferrite may start to show a reduced pull force (the temperature and the degree of weakening depends on the magnet shape and is application specific; for most uses this effect does not happen as the magnets never get that cold).